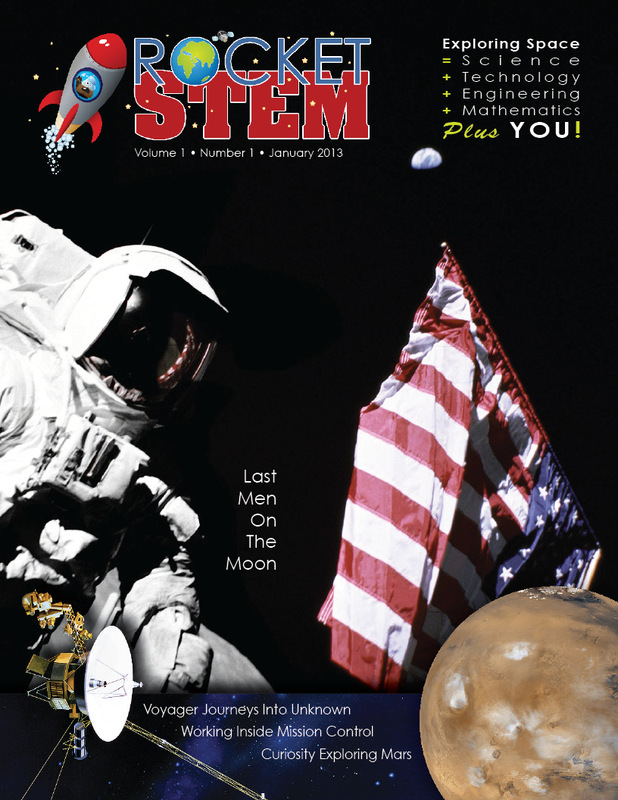 The first issue of RocketSTEM magazine, promoting space exploration and STEM education efforts, is now available to read online for free. • One-on-one conversations with Moonwalkers Gene Cernan and Harrison Schmitt. • The story behind Apollo 17, the last manned mission to the Moon. • Even after 35 years, the twin Voyager spacecraft are still making new discoveries. • An interview with Flight Director Emily Nelson as we look inside NASA’s Mission Control Center. • The Curiosity rover begins a lifetime of discovery on the Martian surface. • Joys of participating in a NASA Social event. • Spotlight on the National Naval Aviation Museum. Twin spacecraft launched in 1977 makes new discovery at edge of solar system. A chat with the final men to walk on the Moon — Cernan and Schmitt. Forty years ago, mankind last stepped on the Moon for an important mission. Apollo through Shuttle: Quite an adventure for photographer Julian Leek. MSL’s Curiosity rover survived seven minutes of terror and is hard at work.